Given below is the list of top Deemed Universities in India for Engineering 2019 with top 10, 20 and 50 ranking private universities offering btech and mtech courses. Homi Bhabha National Institute is a deemed university but moreover an institute of national excellence. SRM University (Sri Ramaswamy Memorial University) also known as SRM Institute of Science and Technology is a co-educational private university and of the top ranking engineering and deemed universities in India. VIT University formerly known as Vellore Engineering college is an indian institute of higher education. ICFAI University consists of a group of deemed universities recognized by the University Grants Commission (UGC). Shobhit University is a UGC recognized public university and ranked among the " best universities in India. The Shanmugha Arts, Science, Technology&Research Academy known as SASTRA University is a deemed university in the town of Thirumalaisamudram, Thanjavur district of the state of Tamilnadu. Bharati Vidyapeeth university is a deemed engineering and technology oriented institution for higher learning. ICFAI University (Hyderabad) is a deemed university situated in the state of Andhra Pradesh. Koneru Lakshmaiah Education Foundation (KL University) is a UGC recognized deemed university located in the Vaddeswaram Guntur District of Andhra Pradesh. Gujarat Vidyapith is a UGC recognized deemed university in India. Sumandeep Vidyapeeth is a UGC recognized deemed university. 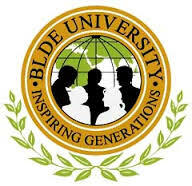 BLDE University is well known university for medical education in the state of Karnataka. KLE Academy of Higher Education and Research (KLE University) is a UGC recognized university dedicated to the cause of providing medical research, healthcare services. Yenepoya University is a deemed university.